Our panel of experts present the key tactics and arguments you will need to secure investment from the board for workforce management software. The automation and streamlining of operations, including scheduling, forecasting, resource tracking, and other administrative tasks, can also enable agents to better allocate their time, resources, and skills. Combined with the other benefits associated with modern workforce management, this can directly boost employee efficiency, quality of support delivery, customer satisfaction, and employee happiness. While traditional approaches to workforce management, such as spreadsheets and Erlang calculators, work adequately for a single-channel contact centre, today’s organisations demand more. Research from Ovum suggests that 74% of consumers use three or more channels to get their issues resolved when dealing with contact centres – some of which may be in additional locations. Modern workforce management solutions understand these challenges and can dynamically scale resources, automate common tasks, and adjust staffing when required, all in real time. Losing good people and hiring new ones is costly and time consuming; it typically costs thousands to recruit and train each new agent. A workforce management system can enable better staff planning, which can lead to more consistent staff occupancy and reduce agent stress and burnout. A self-service agent portal can also enable holiday requests and shift swaps to be done any time, anywhere – including on an agent’s smartphone. Overall, this can improve morale and reduce staff attrition. Workforce management (WFM) applications make it possible to monitor and control all unplanned absences in a fair and transparent fashion. Most systems can also produce reports that act as impartial evidence, perfect for appraisals and 1:1s, which can result in an overall decline of unplanned absences. A good system can put the right number of people with the right skills in the right place at the right time, so fewer calls are lost and more opportunities are converted into sales. It can also have a direct impact on KPIs such as Service Level, Average Speed of Answer (ASA) and Abandonment Rate (ABR). This has a monetary value for organisations with SLAs (Service Level Agreements) with penalty clauses, such as outsourcers and regulated utilities. It can also help to minimise SLA breaches, avoid penalties and secure bonuses. An effective workforce management deployment can also play a key role in securing operational savings that can then be used to help fund other customer contact projects. For example, one of our customers has targeted a £1.1 million performance improvement from its workforce Management deployment that will help support its contact centre of the future initiatives. While up to 90% of larger contact centres already have some form of WFM solution in place, it’s surprising how many still rely on older resource management and scheduling tools. Some might fear that the cost of replacement will be too high. However, the latest on-demand ‘cloud-enabled’ WFM solutions can help with both accessible monthly pricing and reduced time to deployment. One way to demonstrate this is through case studies from similar organisations – with similar agent numbers and KPIs that show a clear cost saving and efficiency gain. Alternatively, you could ask the vendor of the solutions you are looking at to do a Proof of Concept (POC), to prove the savings they can make for you. 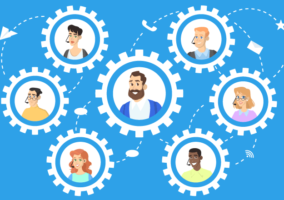 Even if it isn’t for your whole contact centre, implementing a POC for a small work group should be enough to demonstrate the solution’s value to your organisation. Remember to present any key benefits in pounds! Money is everything at board level, and if you can prove that you can improve the bottom line, then you’re on to a winner. 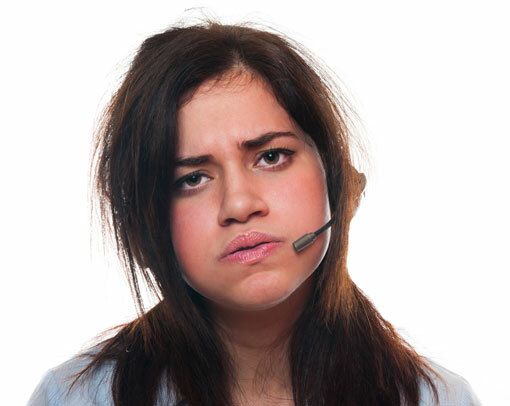 Word of mouth can have a big impact in a contact centre. If you can create a buzz within this environment around the benefits a WFM solution can deliver for the organisation, as well as the different departments, this ‘buzz’ will eventually find its way up to senior management. This can be achieved by ensuring that many of the key decision makers attend as many WFM demos and discovery meetings as possible – to turn them into advocates of the technology. There are also other benefits that WFM can deliver, which may not be as easy to quantify or measure, but nonetheless still hold significance. For example, a self-service functionality (e.g. providing agents with the ability to manage their own schedules, including shift trading and flexi-shifts) can improve employee engagement and empower your agents. This can help drive engaged and satisfied employees, who will drive the contact centre further in building a positive customer experience. In order to demonstrate a Return on Investment (ROI), you will need to clearly show where the return comes from, how much the savings total and how long it will take to cover the costs of the initial investment. ROI can be shown in a number of ways. An example is to show the amount of savings potentially being made in the contact centre (as a result of WFM) through the reduction in attrition, abandoned calls and admin procedures, as well as improved scheduling and adherence. Agent self-service tools can help manage performance and alleviate supervisors from time-consuming tasks. What arguments have you successfully used in the board room to secure investment for a new workforce management system in your contact centre?